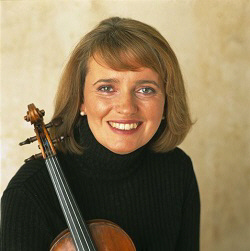 Fionnuala Hunt is one of Ireland’s most distinguished performers known as soloist, director and chamber musician with an international career that has taken her to many parts of Europe, Australia, China and the USA. A leading figure in the classical music scene in Ireland she has held important positions such Artistic and Music Director of the Irish Chamber Orchestra, Artistic Director of the annual Music Festval held in Killaloe, and Artistic Director of the series of chamber music recitals at the Irish Museum of Modern Art in Dublin. In 1999 the Sunday Independent in Ireland honoured her with the ‘Spirit of Life Award’. A strong advocate of the work of Irish composers she has performed in many premieres, and Bill Whelan wrote his Double Concerto ‘Inishlaken’ especially for her. 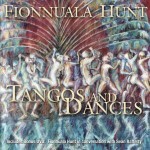 Her latest project has been an exploration of the history of the Tango which resulted in her recording with the RTÉ Concert Orchestra for Avie.